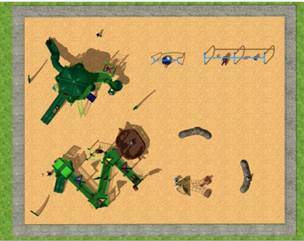 – A memorial garden to the lost lives from the shipwrecks is located in the park. – It is a treasured for its wilderness areas and waterfront. 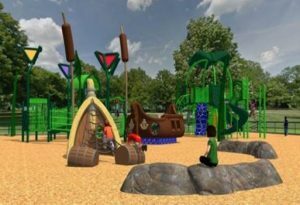 This is a great play area that includes traditional equipment like the “Rock’n Ship glider” and Morphous slides plus custom features like the shipwreck climber, cattail posts and boulders for benches. It all added up to a great, meaningful solution that is open to the public now. Here is a video preview for you. “Wow playground” at El Dorado Park, Brampton, Ontario. Share the Fun and Inspire!